For a city that has some of WA major tourist attractions this is pretty P1ss weak to say the least. You think if you paid rates as a business that these would be basic services a city would provide in at least the CBD? Is this how the COF activates Fremantle? We wonder why people are drawn to big shopping centres, a few hints, cleanliness, safety, little anti-social behaviour, clean safe toilets, parent comfort rooms, no over flowing bins, open shops, oh and plenty of car-parking, perhaps a few pluses in their favour? The stench of urine is not a plus in the grunge appeal? Update 1, Residents Speak,,,,,, it didn’t appear so. Residence’s Speak, When Will Fremantle Council Hear??? So Burt St had a good showing, a strong voice from their community, sending a clear message to council. Sent but not heard it seems. Bill Massie heard it, while others did vote against the R160, sadly it didn’t appear it was because of community representation but due to their own ideology, a word mentioned by quite a few community speakers. So Burt St R160 was voted in, though I see their community advertising, meeting’s, and voice got them some token amendments sadly which will not change the outcome. Well I guess voting in the next election, just became allot clear for the Burt St! Precinct. What hasn’t changed in council, is the shocking PA system leaving many in the gallery scratching their heads on what is being said by members. Just because council may be not interested in hearing what the community is saying, doesn’t we don’t listen in the gallery. If you want to encourage people to take an interest, in what happens at chambers then fix the PA problems or maybe that’s the plan to discourage/keep out the ones trying to participate? McCabe St another great turn out, great speakers, good knowledge, real passion another great community group, they stayed the execution by council tonight with a great turnout again lead by a Mosman-councillor, ex-Freo councillors and a plethora of community speakers. So they got what looks like lip service to their community consultation while some reports are being completed. To note, that several councillors inferred it will not change the outcome and at meetings before we have heard councillors say that they will extend community consultation but don’t expect it to change their minds? I heard some real strange statements by councillors tonight, I have to go and check a few of them out so that will be another post. Speaking of water, more complains about lack of basic services at the beach, not restaurants or bars but simple stuff like drinking water, toilets, change rooms,showers etc. 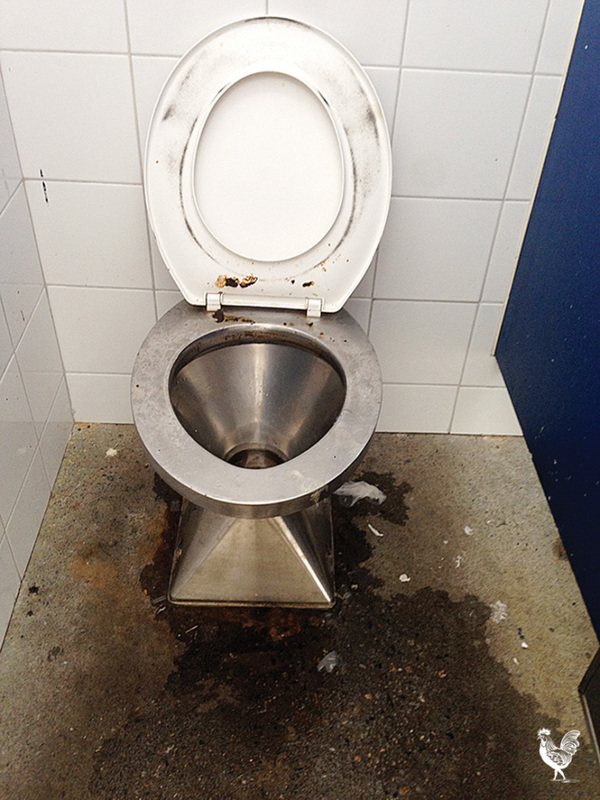 Issues about poor facilities at south beach, non at bathers, nothing at Leighton? Council harps on about its second city status, yet 3rd world countries can supply better basic facilities at the beach. What is amazing is they can spend over $1.5 million pouring concrete on the esplanade but can’t supply basic facilities which are used by thousands of resident and visitors each weekend and hundreds every week day at our local beaches. I was at Port Beach last Tuesday about 6pm it was packed. It’s looking clearer and clearer that placing ideology, or flashy media bites it more important than supplying basic services. No one puts your picture in the paper or clicks your button or your story, over a simple drinking fountains, building a shower for the beach, public toilets, a place for Mums to securely and hygienically tend their infant’s needs, guess it’s not just flashy enough? Councillor Sullivan made a good point in reference to something else tonight about it’s the little things that count, well it’s also the basics that count too. In references I used quite allot in my industry. It doesn’t matter how good a chef you are or what fancy products you buy, to sell your guests, it’s the 1st impression that counts, when your Riedel crystal flute, has lipstick on the rim or a dirty thumb mark on the glass, the fact it has Perrier Jouët Belle Epoque Blanc de Blanc 2002 in it is lost, it’s that bad 1st impression u now have to overcome, instead of being ahead your behind. So it’s that a guest to our city that can’t find a car park at the beach, then somewhere to change or wash the sand off their feet or even get a sip of water. Its send quite a clear message, no one really cares, it’s the message graffiti sends, rundown public infrastructure, anti-social behaviour,,,, I can go on all night, but u get the idea.